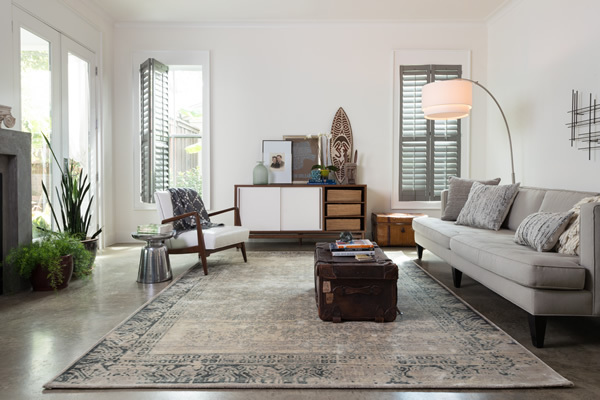 The Alder offers subtle sophistication in this hand-loomed cut pile eco area rug. Constructed of 100% pure undyed natural wool. 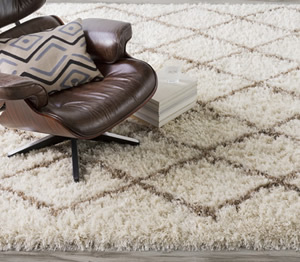 This small-scale geometric pattern rug is hypo- allergenic as well. Vacuum regularly with a suction vacuum cleaner. Do not use a rotating bristle brush/beater bar, or any vacuum with extreme suction. For spills and spot cleaning the most important aspect of cleaning is to blot up spills as fast as possible. Advice for specific types of spills can be found on at http://www.woolsofnewzealand.com. Contact a professional carpet cleaner when cleaning more than a small spot or vacuuming. 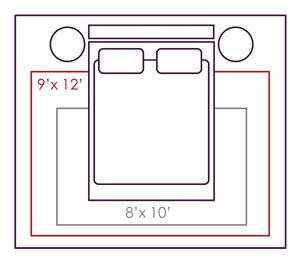 It is important that the professional cleaner does not use an excessive amount of water, heat or suction when cleaning.